Many pet owners are guilty of pampering their pets and giving them treats, love and attention no matter what. I’m no exception, as I can never resist treating my boys to a little indulgence and lots of cuddles. I must have spent a small fortune over the years on buying them various gifts such as fancy cat beds (that they never use), exciting new toys (which they ignore), sparkly collars (which they always end up losing) and all sorts of grooming products such as new combs, brushes, and even cat shampoos! In a way a piece of me kind of enjoys buying them these little things as it’s a bit of a novelty for me. My two cats mean so much to me so I don’t mind treating them regularly at all. Making them happy makes me happy as the little bundles of fluffy terror do bring a surprising amount of joy to my life! They absolutely love being groomed and constantly want to be brushed and pampered! They just love a bit of attention and are always in competition with each other to be stroked! They get on reasonably well together these days; at first they didn’t get on and Merlin was not happy to have a new cat in residence. 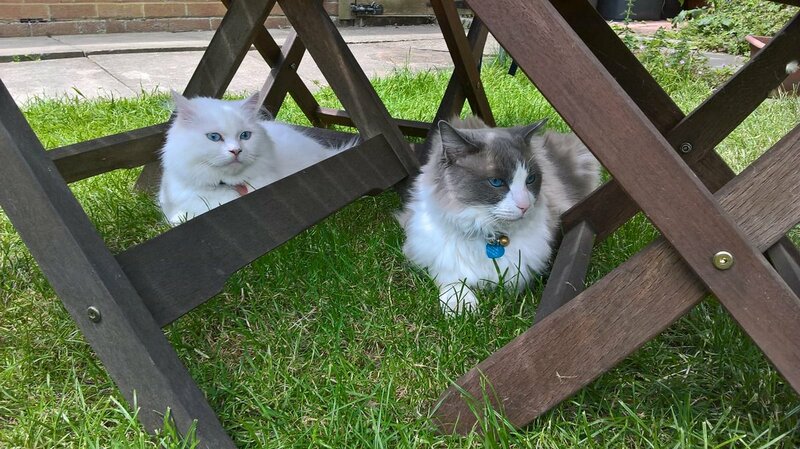 But now they sit around the house together most days, although they never like to be too close to on another! Merlin (my Ragdoll cat and the eldest of the two) is getting older now and so toys aren’t so entertaining for him any more. He much prefers to snuggle up for a cuddle and a long snooze instead! 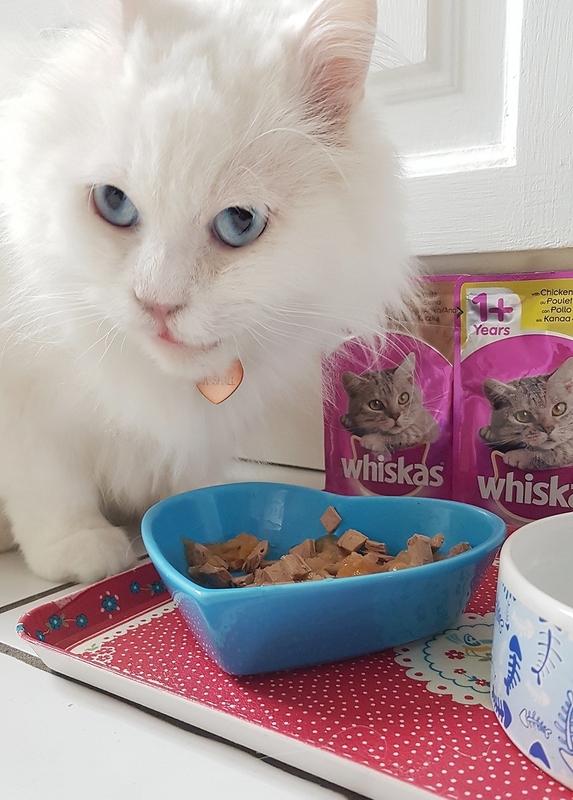 But he’s still got quite an appetite and although he usually has dried food, as a treat he loves to eat Whiskas cat casseroles. Marshall (my younger Persian and deaf cat) is much more energetic and whenever he sees the food pouches coming out there’s a race to the cat bowls! Merlin usually has the upper hand in the food race as he can hear the pouch being opened and his ears prick up, whereas poor Marshall can’t hear a thing but he can soon tell when it’s feeding time! The casseroles are made using quality ingredients and the delicious recipes help to keep my cats happy and healthy. 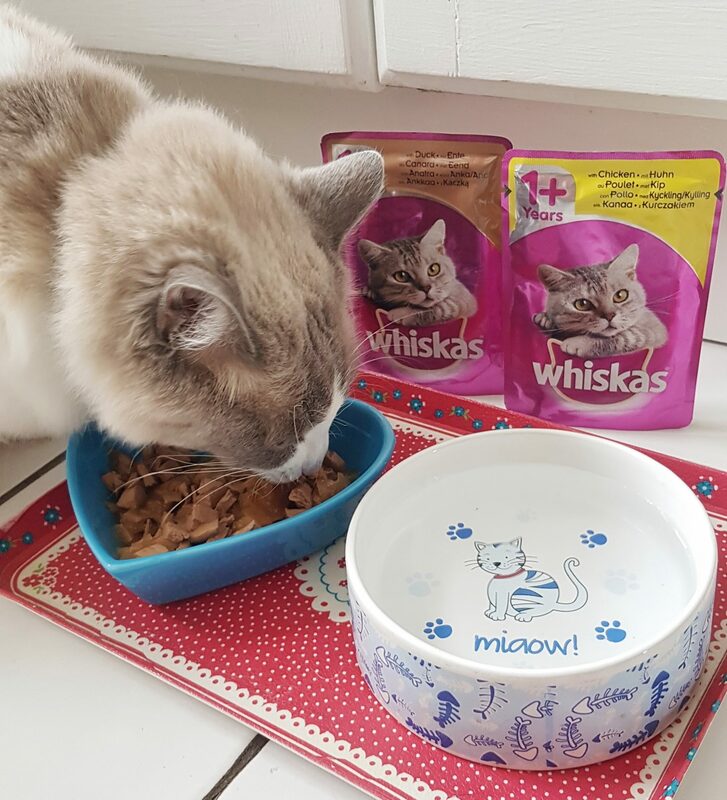 They are developed by experts on petcare and nutrition and my cats absolutely love them! 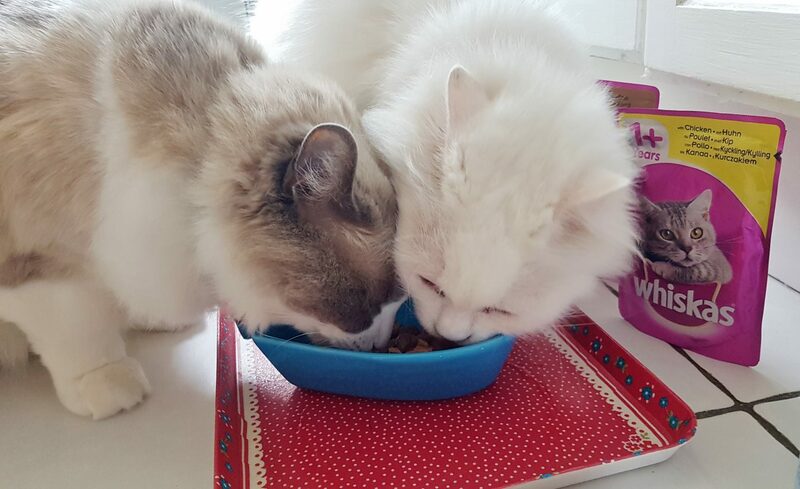 They don’t mind sharing a food bowl but when the casseroles are out they’re both trying to devour them pretty quickly! Do you treat your pets every day? This post is in conjunction with WHISKAS® but all thoughts are my own.